Having a sound prosecution strategy is as exigent to the growth of a portfolio as is the necessity of a sound patent strategy for the development of a business. And like every business has its own version of patent strategy; prosecution strategies used by counsel can vary based on the situation. The question remains — Which strategy should be used when and for which situation? Unlike patent strategy, which could be perfected by trial and error, prosecution strategy does not run on guesswork. Patent counsels risk losing a grant if proper action is not taken. What could be done such that a good prosecution strategy could be adopted? The answer is simple — Rely on insights from data. That’s right. With the availability of examiner data open to the public, examiner behavior could be studied which could help predict the outcome beforehand, based on which the right step could be taken by patent counsels, saving their client’s time and money. We explained in an earlier post how examiner analytics can help craft a sound prosecution strategy. Taking the next step and putting the tool to use, let us try and understand the chances of getting a grant after final rejection. Because in the patent office, final rejection is not always final. We analyzed the technology domains based on the dataset for the last 15 years to understand the opportunities to win allowance for your application after final rejection. Let’s have a look at the top ten art units with the highest increase in the allowance rates after the first final rejection. We could see that the art units for technology domain of Drug, Bio-Affecting and Body Treating compositions display the largest incline in the percentage of grant rate after final rejection. Following next is the domain of Data Processing and Combinatorial Chemistry with the increase in the grant rate from 11% to 15%. In case you have a patent that belongs to any of these art units, which has received a final rejection, there are still good chances of your patent getting granted provided the right office action is filed. Editor’s Note: During prosecution, having strategic information on how an examiner behaves can help you create a sound prosecution strategy. In this insightful article paired with data, we have examined five most common types of behavior exhibited by examiners: Click here to read. After having a look at the top art units with the largest increase in grant rate, we dug deep to excavate art units which showed the largest decline in the allowance rates after the first final rejection. It seems that in these art units, extending the examination by filing more office actions may not necessarily change the examiner’s decision after the first final rejection. In our analysis, we found that art unit related to the domain of Multiplex Communications; VOIP showed the largest decline in grant rate. The allowance rate before the first final rejection in the domain of Multiplex Communication is close to 90 percent. However, this rate drops almost 30 to 40 percent after the first final rejection. In certain cases for such art units, filing more office actions is a waste of both client’s time and money. The first final rejection in such art units might serve as final. How to figure that final rejection of a patent isn’t final? Our Examiner Analytics tool can help answer the question. 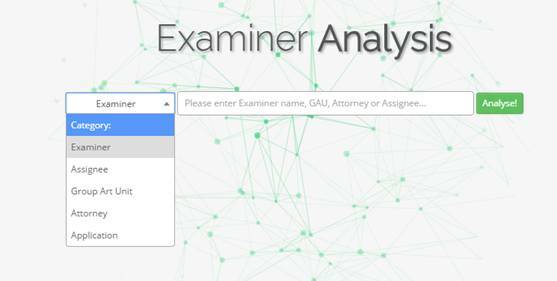 GreyB’s Examiner Analytics facilitates search based on the categories like Examiners, Assignees, GAU’s, Attorneys, and Application number and can help you navigate the prosecution process in ways that can maximize your chance of success and create prosecution strategies customized for any situation. Let’s take the example of the Multiplex Communication technology domain which has grant rate before final rejection close to 90 percent, which drops to almost 30- 40 percent after the first final rejection. A look at the stats reveals that having an interview with the examiner would increase the chances of allowance by 30%. So if you have a patent that faced a final rejection belonging to art units of Multiplex Communication, requesting an interview increases your chances of landing a grant. While a significant number of patent applications result in final rejections, every situation is different. There are various options and strategies that are required to be considered so that the most effective response to a final action can be selected. And while implementing a strategy is better left to counsels and attorneys, our analytics tool could help you select the right strategy for the given situation. After all, final ain’t always final in the patent office. Authored by: Geetika Dube, Project Manager, Report Generation, and Anjali Chopra, Analyst, Market Research.